Welcome to another other-worldly offering from the early 1970's. This is your chance to own an absolute classic blaster, and one of the best versions of the Gibson J200. 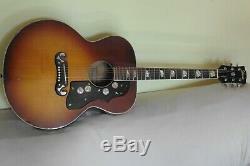 Made in the FujiGen Gakki facility, Nagoya, Japan - this is the rare vintage sunburst edition and is hard to find today. 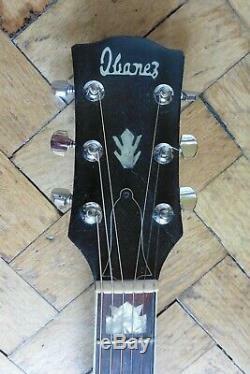 Seldom seen here in the UK with the'Ibanez' branded open book headstock. 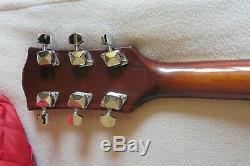 Priced comparatively low due to an historic repair to the headstock - solid and not affecting playability or intonation. 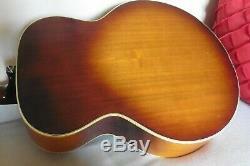 This guitar is certainly amazingly playable and for the age and type it is better than most. 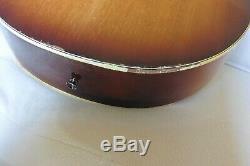 Action low, sweet tone with great mids and highs making these guitars sought after. She's completed many tours of duty and has taken flack for the honour of music making! Cosmetic condition is road-worn and has a'relic' look with nothing to put a player off. 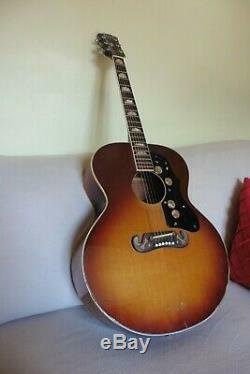 Just a brilliant guitar with character. 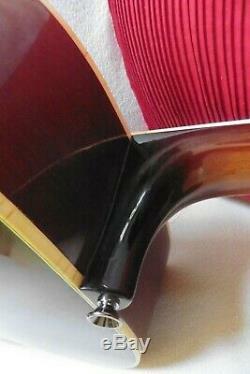 If you want to give the asking price we will dress the frets, replace strings and full setup. 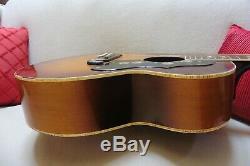 If you are looking to get the price down then please see our shop on Reverb. Thanks for your interest and time. 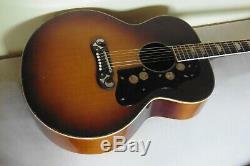 The item "Rare Old Vintage Ibanez J200 Acoustic Guitar Relic Gibson Strings + Setup" is in sale since Friday, April 12, 2019. 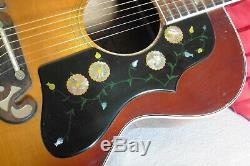 This item is in the category "Musical Instruments\Vintage Musical Instruments\Vintage Guitars & Basses\Acoustic Guitars". 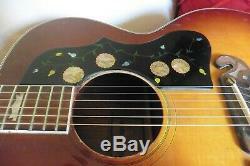 The seller is "afterlife_acoustics" and is located in Manchester.